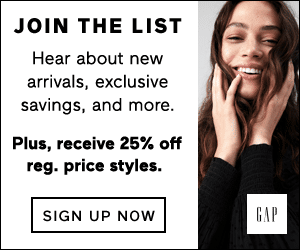 Sign up for Gap newsletter and be the first to shop new arrivals and exclusive promotions! Subscribers get 25% off their regular price styles. NOTE: Make sure to confirm your email address after signing up to get the discount!